For several decades, the idea of planning to visit Chattanooga for fun would have been dismissed by most travelers who didn&apos;t have business or family connections here. The downtown area was in decline. Local attractions were not consistently pulling in visitors from other areas. 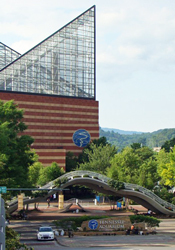 But travelers began taking notice of downtown with the opening of the Tennessee Aquarium in 1992. The aquarium formed the centerpiece of a revitalization along the Tennessee River that now includes restaurants, recreational attractions, and new hotels. The aquarium&apos;s annual economic impact is estimated to be in excess of $100 million, and it attracts 700,000 yearly visitors. What&apos;s the attraction for budget travelers? Admission charges are not cheap, but far less than what would be required to spend the day at a theme park. You can also buy tickets to IMAX movies and a trip on the River Gorge Explorer, billed as a "high tech vessel" that cruises the Tennessee River. The cruise, at this writing, costs more than admission to the aquarium, but you can bundle all three experiences at a discounted price. The aquarium admission includes the two major buildings, one of which is devoted to saltwater exhibits, while the other is focused on freshwater displays for species that can be found in local waters. This distinguishes the experience from other major aquariums. Tickets are good for the entire day, but it&apos;s possible to complete a tour in half of that time. Look for public parking to avoid the aquarium parking charges, which will run higher. With good weather, visit The Passage, a nearby public water park that runs between the aquarium and the riverfront. It&apos;s a great place to cool off at no charge. The aquarium is recent and ultra-modern. Next, see about visiting an ancient wonder just a few miles from the city center. 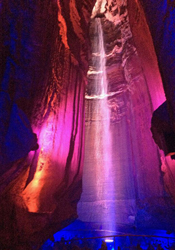 Ruby Falls has been a Chattanooga tourist attraction for about nine decades. Barn signs throughout the south invited motorists to see Ruby Falls or Rock City, a nearby attraction atop Lookout Mountain. The cave is a natural wonder, enhanced by expert guides and a light show that wasn&apos;t part of the original experience in 1930. Buy Ruby Falls tickets online and skip any lines that might form at the entrance. Your admission ticket places you in a small group with a guide who will walk you through the sometimes narrow underground trails to the 145-foot falls. You&apos;ll take an elevator to the starting point of that walk, which is about 260 feet below ground level. As you walk to the falls, the mountain ascends above you, so the falls is actually about 1,100 feet underground. Out of necessity, managers here limit the number of visitors who are underground, and that elevator has both capacity limits and a slow speed. So consider coming here earlier in the day to avoid the larger crowds and school groups. Take note: there are no restroom facilities available during the tour. Guides explain how the cave was discovered, purchased and opened as a tourist attraction at the start of the Great Depression. It&apos;s the kind of place where grandparents still are seen leading their grandchildren. Another attraction with a nostalgic feel is the city&apos;s former railroad station, home to a unique hotel. Next, hop aboard the Chattanooga Choo-Choo. Generations ago, many visitors arrived in Chattanooga by train. These days, they can sleep comfortably in the very same yard that was once made famous by the music of Glenn Miller and The Andrews Sisters. The Chattanooga Choo-Choo hotel features retired Pullman rail cars permanently parked at the former city train station. The hotel lobby was once the region&apos;s crossroads, filled with hellos, good-byes, and scores of passengers in transit. It&apos;s not a five-star property, but the history and amenities are unique. 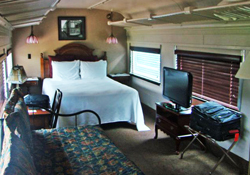 If sleeping in a Pullman car isn&apos;t to your liking, there are standard rooms as well. Several downtown hotels serve the aquarium area and the business community. Look for special offers outside of holiday periods. Some travelers prefer scenic views and personal service, and the area has a nice collection of bed and breakfast inns. These locations might be in neighboring Georgia or Alabama. Looking for an unusual hostel? Take a look at the Crash Pad, billed as a boutique hostel and located just a few blocks from the Chattanooga Choo-Choo. The decor and the staff here both cater to rock climbers, but everyone is welcome. Rates are reasonable and the location is excellent, allowing quick access to public transportation and the downtown/riverfront attractions. Long a great place for down-home family-style cooking, Chattanooga is acquiring a reputation for upscale dining that attracts weekend visitors from Atlanta, Nashville, and other large cities. Three favorites for budget travel splurges: Easy Bistro resides inside what was the world&apos;s first Coca-Cola bottling plant. The menu features items grown on local farms. Another eatery that features local products is Terminal Brewhouse at Market and 14th, where, as the name would imply, they brew their own selection of beers. STIR, located within the Chattanooga Choo-Choo hotel complex, offers a fresh, creative menu and craft cocktails. For more budget-friendly meals, consider The Blue Plate near the aquarium at 191 Chestnut St., which promotes "contemporary comfort food." The house desserts are not to be missed. Mojo Burrito, near the entrance to Lookout Mountain and at two other locations, is a locally owned Tex-Mex restaurant that can be crowded at times, but serves up good quality at affordable prices. 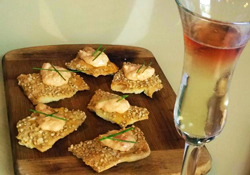 Care to sample more products from local growers and restaurants? Next, consider a visit to the Chattanooga Market. Every Sunday from late April until just prior to Christmas, the Chattanooga Market opens to visitors at the First Tennessee Pavilion, just across the street from the University of Tennessee-Chattanooga&apos;s Finley Stadium. It has been voted one of the nation&apos;s best public markets, and there is no admission charge. 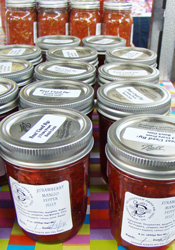 You&apos;ll find local food products, including fresh produce such as peaches when in season. But beyond food, there are local craftsmen and artists displaying their works, live music, and how-to demonstrations of various kinds. Displays will vary by time of year, but a visit will benefit both your budget and your disposition. Looking for something more active that will trigger an adrenaline rush? Next, consider the adventure travel possibilities in the Chattanooga region. Few places east of the Mississippi can compete with attractive Chattanooga adventure travel opportunities. Within a short distance of the city, you can find world-class whitewater rafting, hang gliding, kayaking, rock climbing, and exceptional hiking trails. The rock climbing adventure can start without leaving downtown. High Point Climbing and Fitness at 219 Broad St. is just a short walk from the aquarium. It offers 30,000 sq. ft. of indoor and outdoor climbing areas. You&apos;ll see young children and experienced adults enjoying the various levels of difficulty. Outdoor rock climbing and bouldering opportunities abound in this mountainous area, but be certain you have a guide and the proper safety equipment before you attempt the more difficult surfaces. 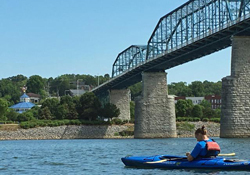 Kayaking on the Tennessee River during favorable weather is a popular activity. At times during the year, it&apos;s more like a lake than a river, with very little current and pleasant views of the city and the rocky cliffs that hug the shoreline. Rent kayaks at Outdoor Chattanooga, 200 River St. If you&apos;re looking for the opposite experience, take on class-III and class-IV white water along the Ocoee River, about an hour northeast of the city. 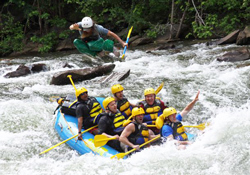 Outdoor Adventure Rafting provides a safe but memorable experience at reasonable prices. This challenging run was featured in the 1996 Summer Olympics. Is hang gliding outside of your comfort zone? Don&apos;t answer until you at least consider the set-up at Lookout Mountain Flight Park, where they&apos;ve taken up grandparents and grandchildren as well as every age group in between those extremes. Your first flight will be tandem with a certified instructor. It&apos;s definitely an expensive splurge, but an experience not to be forgotten. If you choose hang gliding, you&apos;ll emerge safely -- but your budget might need some first-aid. Next, consider activities that are either free or very reasonably priced. Take a walk on the Walnut Street Bridge, a pedestrian-friendly structure that spans the Tennessee River. At 2,370 feet, it&apos;s one of the longest pedestrian bridges in the world. It provides views of the river and some of the attractions on the city side. You&apos;ll find plenty of inexpensive food places on the city side as well. Miller Plaza stages the Nightfall concert series on Friday nights during warm-weather months. All the open-air concerts are free, but arrive early to claim the best vantage points. The concerts usually start in early May and end about Labor Day. A free electric shuttle runs downtown from 6:30 a.m. to 11 p.m. on weekdays. The time between runs is only about 5-7 minutes, so you won&apos;t wait long. On weekends, the service runs from 9:30 a.m. until 11 p.m. on Saturdays and 8:30 p.m. on Sundays. Check locally for updates on the schedule, as they can change at times. Bike sharing in the city is a breeze with the fine Bike Chattanooga service. They offer about 300 bikes at 33 area stations. A 24-hour pass is $8. For longer stays, consider the three-day pass for only $15. ChattWalk Tours are not free, but come at reasonable prices for those who want to explore the rich history of the city. Tours last about 90 minutes and are conducted from April-October. 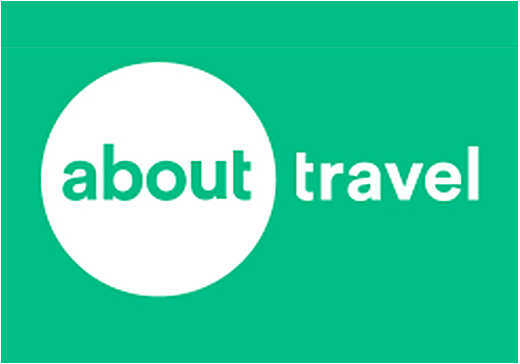 Book well in advance to ensure the best selection of tours during your stay. Walk-ups are accepted, but guests with reservations have first priority.